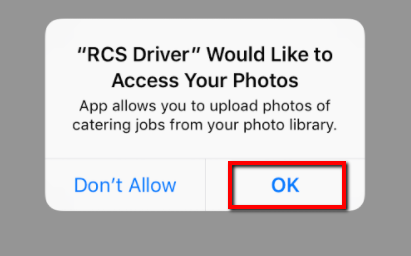 In this article we will go over the picture feature in the CaterZen Driver App. 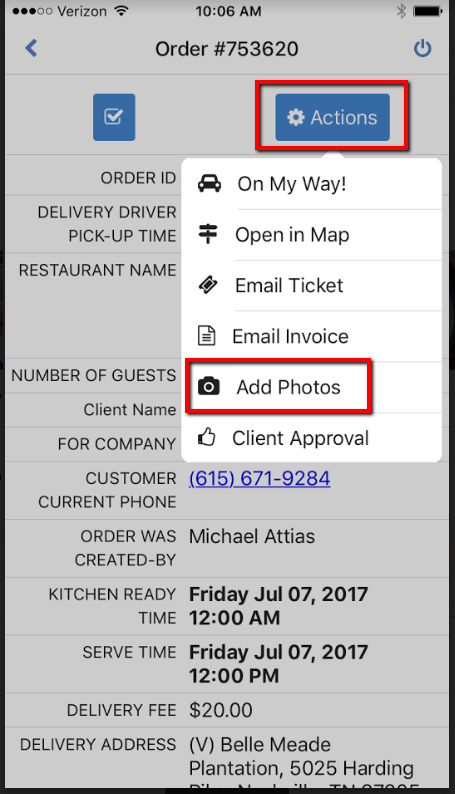 This is beneficial so that your driver can take pictures of the catering that they delivered. This can be useful when training a new driver to make sure that they are setting up the catering in the correct way. It can also be used as 'insurance' should the client call and complain about the poor set up. 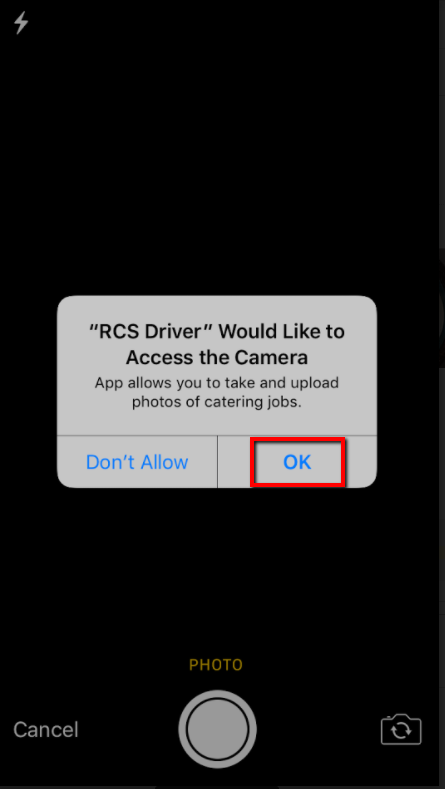 Note: the driver can add the picture directly from their camera or from their camera roll. Once the pictures have been added you can view the pictures at any time. 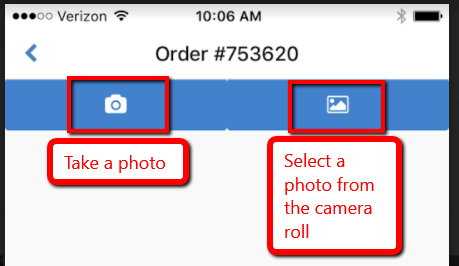 1 - Once inside the Delivery App - and you are under the customer's order - click on the Action tab - and then click on the Add Photo link. 3 - If you want to take a picture with the Camera click on the Camera icon. 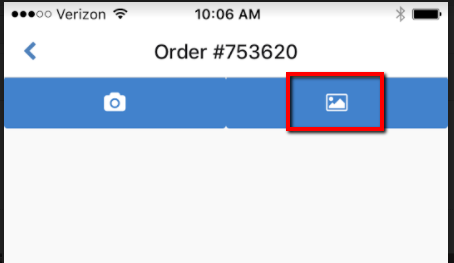 4 - If this is your first time using the camera on the app you may need to allow the CaterZen Driver app to access the Camera by clicking Ok.
11 - Select the picture - note a Red Check Mark will appear letting you know you have selected this photo - click on the Done link at the top. 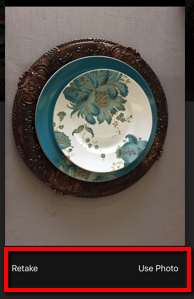 12 - Your photo will now appear. 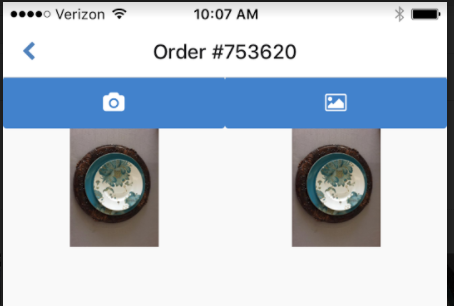 You have now learned how to add photos after making a delivery via your CaterZen Driver App.